The day had started so well. But now here was Rudi, racing home to intercept a thief. All because of a foolish bargain made by a nine-year-old girl. Trouble has returned to Brixen, and once again, Rudi is the one who must make things right. 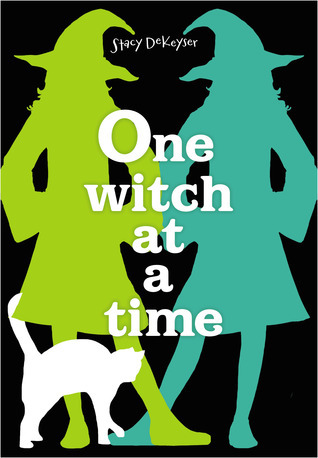 Can he undo the disaster caused when an unsuspecting stranger brings a foreign witch's magic into the Brixen Witch's province? Today is a pretty special day because the author has stopped by to share her thoughts on writing! A Secret about Writing Advice: I Don’t Think It Means What You Think It Does. So you can jot down ideas, or scraps of dialog, or an interesting name, before you forget them. (A corollary to this is “keep a notepad and pen next to your bed.”) I’ve tried all this. Failed badly, because (a) I am usually too lazy or sleepy to bother and (b) when I do bother, I lose the journal, or can’t read my notes the next morning. What it Really Means: Pay attention. To everything. And put your observations into words, even if it’s just in your head. How the blossoms of a mountain laurel look like tiny peppermint candies. How a full moon on a snowy night is so bright, you have to peek out the window to see if someone left the yard light on. With practice, the really intriguing ideas will stay with you, even if you don’t write them down. Whenever I hear an author say this, I want to ask her if she’s feeling OK. Do her characters literally whisper in her ear, like little fairies sitting on her shoulder? And if they do, shouldn’t she be worried? Of course, I'm only half-kidding; I know that writers who say this are speaking metaphorically. But I don't think they need to. What it Really Means: I have no idea what this means, actually. You’re the one writing the book. And it’s hard work! Go ahead and take the credit. And write it all down in dialogue form. Or make lists: What your characters are carrying in their pockets; favorite foods; most traumatizing childhood experience, etc. etc. etc. This kind of thing sounds so boring and Not Fun that it makes me shudder. Don’t get me wrong: I write pages and pages of background information and research notes. But it’s a pretty loose and follow-your-nose kind of process. If I ever had to sit down and write out detailed character sketches, I think I’d give up writing for good. What it Really Means: Know your characters, absolutely. But just like real people, you might have to get to know them a little at a time. I wish! But life gets in the way sometimes. If it does, I try not to beat myself up over it. I take a step back and let the story simmer a bit. Do a little of that paying attention to the world around me. Or I think about my characters, and how they’ve interacted so far, and I ask myself why, and I learn a little more about them. Even when I don’t actually write a word. What it Really Means: Writing is not always about putting words on the page. Let your story and characters roam around in your head even when you’re away from your keyboard. 5. Read widely in the genre you want to write. Well, yes and no. I read as much middle grade fiction as I can, including the type of real-world-based fantasy that I like to write. But to be honest, I haven’t read many fairy tale adaptations, and I never read fantasy when I’m in the middle of writing it. I don’t want to be influenced by other books. I want to give my own ideas room to grow. What it Really Means: Read widely. That’s it. The more you read, the better a writer you’ll be. I totally believe in learning by osmosis. Many of my writer friends might disagree with me—and that’s OK. We all have to discover what writing advice really means.